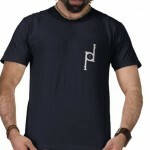 New Site… New RSS… and SHIRTS! With the move to the new site, there is a need for a few RSS feed. Click any of the buttons on the right nav under Feeds to update or re-subscribe to the podcast. RDP appologizes for the inconvinience, but looks forward to providing quicker content responses in the future with the new setup. 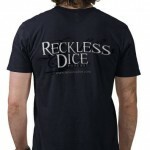 Please let us know if you have any questions or comments at RecklessDice@gmail.com or on Twitter @RecklessDice. Check it out in the Zazzle Store if you are interested in ordering one. Where can I get one of these fancy t-shirts! New site looking good! Discovered WFRP about a month ago and I just have to say that your podcast has been of immeasurable value to someone delving into the Warhammer world for the first time. Have listened to everything you’ve put up so far and looking forward to future episodes and sessions! A HUGE thank you to everyone involved!